Roger Goodell has been on a rampage with his “efforts” to make the game safer and reduce high-impact collisions linked to concussions…selectively, of course. Goodell seems to be expanding on his dictator persona even further because he continues to talk out of both sides of his mouth. It appears the driving force behind Goodell’s intentions all seem to be to make the game safer overall. Unless, that is, there is a financial component to it. While Goodell tries to legislate big hits out of the game, he flippantly ignores more potent potential player safety measures when they have a negative financial impact to the NFL. He was pushing for an 18 game schedule because of the additional revenue it would bring in the league, yet ignoring the impact on players’ lives, careers, and bodies by putting them on the field 2 more weeks a year. He also doesn’t seem to recognize (or care about) what I believe is the greatest risk to player safety in the NFL: Thursday night games. He is content with the increased revenue that another night of games brings in to the league, but has no concern for player safety in forcing them to play again on exactly 3 days’ rest. How does the body, and more importantly, head and brain, recover enough to play this violent game on short rest? On the kickoff, the coverage team that sprints downfield to tackle the ball carrier has a pretty good chance of getting blocked. The blockers fall back and attempt to form a wall (or crease) for the ball carrier. The blockers are always in front of the coverage team and in their direct field of vision as they try to block them. The coverage team tries to avoid them and then tackle the ball carrier. On a punt, it is much easier for the punt team to “shake” a blocker right at the line of scrimmage and then get a 40-50 yard head start downfield at the ball carrier who is all alone waiting on an island. What’s even worse, punt teams typically release at the line of scrimmage and peel back to one side of the field out of the field of vision of the coverage team only to reunite downfield with a highlight-reel blind-side decleater. Goodell also fails to recognize that by eliminating the kickoff he would be eliminating jobs. The fact of the matter is that there are plenty of guys in the league who made the team simply because of their ability to cover kicks and punts. For every NFL “special teamer”, there are hundreds of other college players with the same size, speed, and strength. So what sets them apart from those guys is their ability to have a blatant disregard for their bodies to run down full speed and hit someone as hard as they can. Do not underestimate this and assume all football players have this same mentality, they don’t. Some players see hitting as an inevitable part of the game while others see it as the sole focus of the game. The point is that eliminating the play does not eliminate the mentality of these players. How many times has a big kickoff return for a touchdown completely swung the momentum of the game, regardless of the actual score? There is unequivocally no single play in the entire sport of football that deflates a team like getting a kickoff returned for a TD on them. Your team may have just marched down the field with a stunning drive, eating up clock, owning the line of scrimmage, and punching in a huge touchdown. To come out 60 seconds after that and get those points returned right back at you without your defense even stepping onto the field is soul-crushing. No 4th and 15 on the 30 yard-line for the kicking team can ever replace that feeling. If Goodell is successful in removing this crucial component of the sport, where does it end? Find me a commissioner in any sport that has exhibited greater control over the fundamental principles and rules than Roger Goodell. It’s impossible to find because it doesn’t exist. Yes, there’s a competition committee that these rule changes must pass through, but guess who is the one presenting the case to that committee? Mr. Goodell. Eliminating the kickoff is a completely fundamental change to the game itself. It’s akin to changing the force-out rule in baseball or making dunks worth 4 points in basketball. This is not a “tweak” in the rule but a complete overhaul of the way the game is played. This is not moving the kickoff up or back 5 yards as it has been done a few times, it’s removing the play altogether. If he is successful, the game will played very differently than it is today. Based on the current popularity of the sport, that doesn’t seem like a good thing to me. Remember New Orleans’ onside kick recovery to start the 2nd half of Super Bowl XLIV? DO you think that had anything to do with their eventual win over the Colts? They took a risk by making that call and it paid off. Do you think teams will have any element of surprise when they line up for 4th and 15 and run a fake punt? This will be the punt return team’s primary concern. Not to mention you lose the field position battle because teams have a better chance starting from closer to midfield with a punt from the 30 yard line than a kickoff resulting in a probable touchback on the 20. Why do you think teams’ are penalized after giving up a safety by having to punt instead of kick off? The onside kick is one of the most exciting few seconds in sports because it still gives the team a chance for recovery and improbable comeback. That simply doesn’t compare to just another 4th down try. The Thursday night games could continue AND be safer if they were incorporated in to the teams bi-weeks. Play on a Sunday(game 1), play 10 days later on Thursday (game 2) and then play 10 days later on Sunday(game 3). That’s 3 games in 4 weeks and may be safer with two extended weeks of time off for the players instead of the single two weeks in a row that they have now with the bi-week. It could continue to generate the revenue and excitement of having that Thursday night game while maintaining (or enhancing) player safety. These are the type of ideas that can accomplish both goals while not completely changing the game everyone loves. Completely agree – unfortunately it’s a logistics issue that the NFL doesn’t want to deal with. It would be tough to do for every single team but if they had a Thurs. game every week from week 1 and on then it might work. 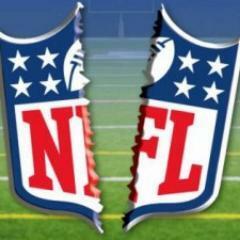 Problem is it’s too logical for the NFL’s taste!